The arrival of the two sets of sextuplets has peaked the interest in extreme multiple births and premature babies.As of 2005, there were approximately 33 sets of all-surviving sextuplets living across the world, including at least 12 sets in the United States. 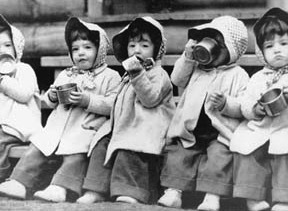 Over the years there have been many sets of famous multiples starting with the Dionne Quintuplets. The world’s first and so far only set of verified identical quintuplets were born on May 28, 1934, Cecile, Marie, Annette, Emilie and Yvonne Dionne of Ontario, Canada. 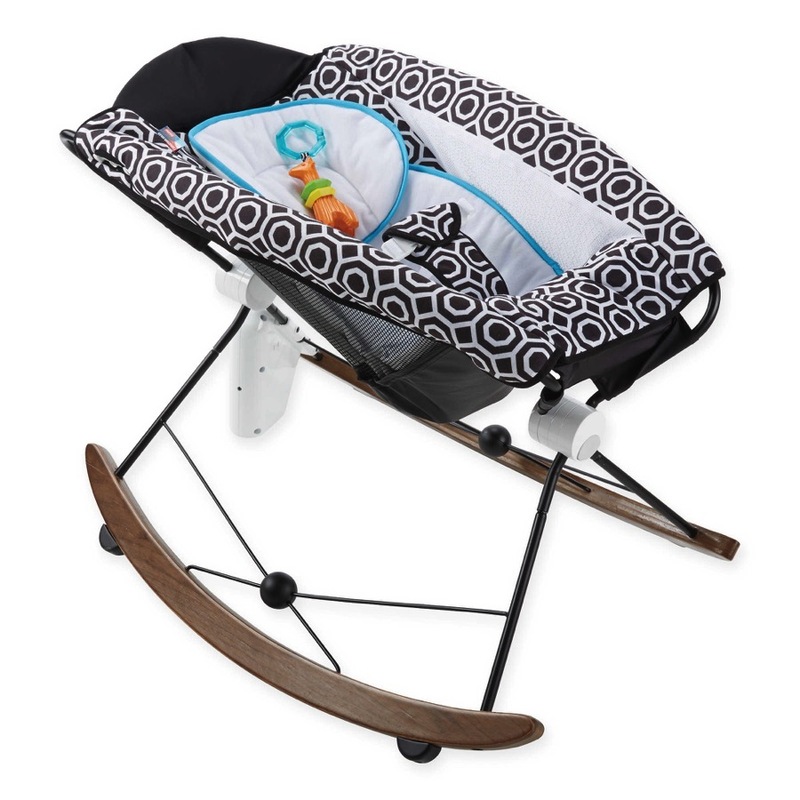 Believed to be born around 28 weeks, the combined weight of the quints was a mere 14lbs. They were put by an open stove to keep warm, and mothers from surrounding villages brought breast milk for them. Against all expectations, they survived their first weeks. The Dionne Quintuplets were taken away from their parents and became wards of the Canadian Government, by whom they were exploited and displayed in a public museum. The Secret Quintuplets – After seeing the media storm that surrounded the Dionne Quints Senor Franco Diligenti and his opera singer wife, Ana Aversano quietly had a set of quints that he kept secret from the world for 8 months. The wealthy father even went as far as having the babies delivered at home with the help of a midwife sworn to secrecy and registered with the government at different city offices throughout Buenos Aires. The Diligenti Quintuplets each went their own separate ways and have remained out of the public eye as adults. The two boys, Carlos Alberto and Franco, each went to school in Canada, and Maria Cristina went to live in Rome as a young adult, while Maria Fernanda and Maria Ester remained in Buenos Aires, marrying at ages 19 and 16, respectively. The Dilligenti Quints will turn 63 each on July 15, 2006 and are the world’s oldest living set of quints. In the last 10 years there have been 2 sets of septuplets and 1 set of octuplets. 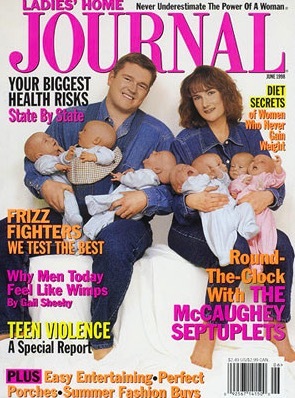 On November 19, 1997 Bobbi and Kenny McCaughey became two of the most famous parents on the planet when Bobbi gave birth to the world’s first living, healthy septuplets — four boys and three girls. The McCaugheys were the recipients of many generous donations, including a 5500ft house, a van and diapers for the first two years, as well as nanny services, and even the State of Iowa offering full college scholarships to the babies upon their maturity and graduation from high school to any State University in Iowa. U.S. President Bill Clinton personally telephoned Mr. & Mrs. McCaughey to wish them his congratulations. As the result of being born prematurely, two of the septuplets have medical problems: Alexis and Nathan have cerebral palsy although Nathan received spinal surgery in November, 2005 in order to help his walking abilities. Alexis and Natalie had feeding problems (severe reflux) when they were younger, which often required tube feedings from a pump that would drip a high-calorie liquid directly into their stomachs. The Humair septuplets (born January 14, 1998 in Abha, Saudi Arabia) were the world’s second surviving set of septuplets, born at 32 weeks to a 40-year-old mother, Hasna Mohammed Humair and her husband bin Mohammed Sammam. They had been told to expect four babies. The Qahtani septuplets (born July 12, 2001 in Washington, D.C.) were the third set of septuplets to live past infancy. The Chukwu octuplets (born in December 1998 in Houston, Texas) were the first set of octuplets born in the United States. 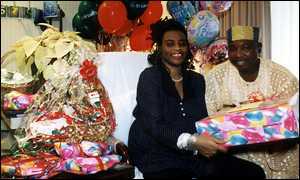 The smallest of the octuplets, Odera, died a week after birth. The first of the octuplets, Ebuka, was born on December 8, 15 weeks premature. The remainder were born by Caesarean section on December 20, 13 weeks premature. The smallest of the octuplets, Odera, died on December 27, a week after birth. Within a month of being born, all remaining 7 babies were breathing independently without any support from oxygen. A few years ago The Houston Chronicle did an update on the family and reported that the 7 babies were thriving and growing like normal children. An unidentified set was born in Argel in 2007. One of the babies born dead. The remaining babies are all girls and still in the hospital for caring. There have been six (possibly seven) recorded cases of human nonuplet births and conceptions. None of the sets of nonuplets were conceived spontaneously; all were achieved through fertility treatments and none of the babies survived. As fertility procedures grow the occurance of super families will become second nature. Researchers at McGill and Yale say they have found a safe way for women to use in-vitro fertilization which reduces the risk they’ll bring home enough babies to fill a nursery. In the United States, the number of twin births soared by 42 per cent between 1980 and 1997, while reports of triplets and more was five times higher. According to statistics compiled by Multiple Births Canada, 60 per cent of triplets, 90 per cent of quads and 99 per cent of quintuplets in Canada are the result of infertility treatments.